Welcome! This site will be dedicated to exploring themes in the long and interesting history of the global interest in unidentified flying objects (UFOs) and the possibilities of contact with extraterrestrials. 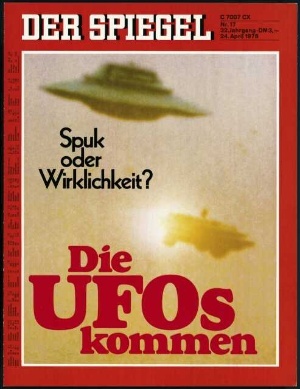 As a historian of science and medicine by profession, I think public, scientific, medical, and government engagement with the subject of UFOs offers an opportunity to examine and analyze some of the great preoccupations of the contemporary world: the specter of war, the hope for world peace, technological innovation, expertise, secrecy, public opinion, public images of science, the cold war, and much more. A point of clarification up front, however. My aim here will not be to weigh in and argue for or against the claim that UFOs are extraterrestrial in origin. There are plenty of websites, bloggers, and authors doing that. Instead, I approach the subject as a cultural historian, meaning that I consider the claims and contributions of all parties involved – witnesses, believers, skeptics, debunkers, researchers, and the simply curious – seriously, but critically, and I try to set them within their historical contexts. My hope is that, in the process, we may all learn something new and unfamiliar about the history of contemporary science, technology, and medicine. Do make a point of clicking on the “follow” prompt above and entering your email, so that you will receive updates every time a new post appears (which should be about every 10-14 days).